Earlier today, the Nissan Motor Co. announced that they will be recalling approximately 768,000 vehicles. Dealing with separate issues, the vehicles being recalled include the popular Rogue crossover and Pathfinder SUV. According to Nissan, 552,135 Rogues from model years 2008 and 2013 will be recalled due to a malfunction that allows moisture to seep through the driver side floor, which could cause an electrical short and potentially cause a fire. As a part of the recall, dealers will inspect the vehicle and the kick wiring harness panel for damage. If nothing is found, dealers will install a new waterproof seal. If damage is found, the dealers will also work to replace the harness connector. Also included in the recall are 215,789 Pathfinder SUVs from model years 2013 and 2014– all of which were built at the company’s Smyrna, Tennessee plant. 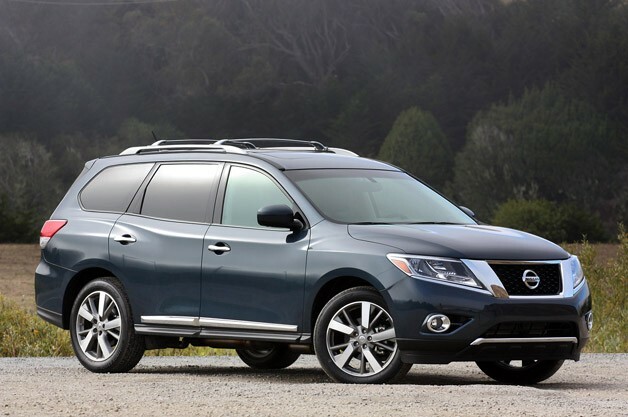 According to Nissan and the NHTSA, the Pathfinder is being recalled due to a malfunction in the secondary hood latch. Reports indicate that this problem, which could block a driver’s vision while on the road, was first detected in rental cars around the country. Fortunately, there have been no reports of injuries or crashes involving the problem. As a remedy, Nissan plans to modify the angle of the hood release mechanism in order to give extra length to the release cable. This entry was posted in Culture, Nissan and tagged Nissan, Nissan Motor Co., nissan rogue', pathfinder, recall, rogue, the Pathfinder. Bookmark the permalink.